Joaquim Löw has won the 2017 IFFHS Award for the best national team coach of the year 2017 with a large margin. In spite of tough opposition from Brazil’s Tite, football experts from 91 countries world wide had no hesitation in awarding Löw a massive 299 points well ahead of 125 for Tite. 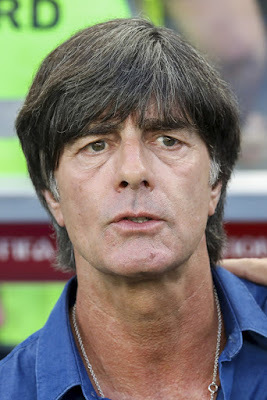 The German national team won this year the Confederations Cup with very young players against Chile in final in Russia and Joaquim Löw indicated one more time that he will give the new generation German players the chance to be part of a great team to the World Cup in Russia. He won the World Cup 2014 in Brazil (the year of his first Award) and is again a strong contender for the 2018 tournament. Tite who took charge of the Brazilian National team in June 2016 has also made great progress in building a new team and to qualify Brazil for the 2018 World Cup finals. Julen Lopetegui has also given a new look to the Spanish national team to bring it again as a contender for the 2018 World Cup. Nigeria's coach, Gernot Rohr did not make the top 20 while Hector Cuper of Egypt and Hugo Broos of Cameroon made it to 8th and 10th respectively.